Journalists in Mexico have accused President Enrique Peña Nieto of plagiarism. A video on news website Aristegui Noticias alleges that almost 29% of his 1991 law thesis had been lifted from other authors without crediting them. A government spokesman said the president had committed “style errors” when he failed to acknowledge his sources but denied plagiarism. 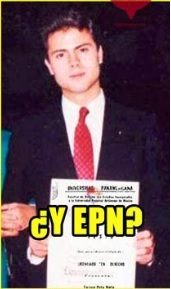 Mr Peña Nieto graduated from Mexico’s private Universidad Panamericana. 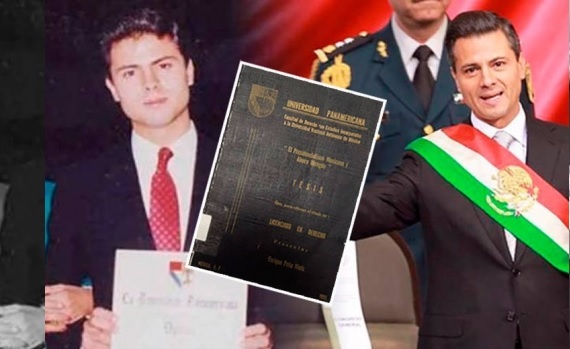 According to the report, 197 of 682 paragraphs in Mr Peña Nieto’s thesis were copied from authors ranging from Mexican historian Enrique Krauze to University of New Mexico academic Linda Hall. The journalists from Aristegui Noticias allege that the paragraphs in question are not in quotation marks and that some of their original authors are not even mentioned in the thesis’ bibliography. Government spokesman Eduardo Sanchez expressed his surprise at the fact that “style errors such as quotes without quotation marks and missing references to authors… should be of interest to journalists two and a half decades later”. He said that Mr Peña Nieto had “fulfilled the requisites set by the Universidad Panamericana to graduate as a lawyer”. The investigative team at Aristegui Noticias has clashed with President Peña Nieto before. In November 2014, they uncovered evidence that Mr Peña Nieto’s wife had bought a house for $7m USD (£.3.4m) from a government contractor. Two months ago, Mr Peña Nieto apologised for the purchase saying it had damaged people’s faith in the presidency. Mr Peña Nieto’s standing has plummeted since he took office in 2012 but last week he said he was not interested in winning medals for popularity.